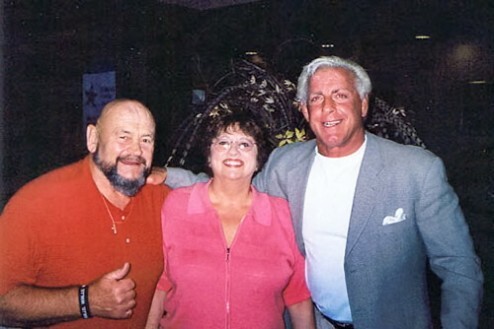 CHECK OUT THIS PHOTO OF RIC FLAIR, IVAN KOLOFF AND HIS WIFE RENAE, SCROLL DOWN BELOW THIS PICTURE FOR A TRIBUTE TO IVAN. I WANT TO DO A LITTLE TRIBUTE TO A GUY I HAVE ALWAYS RESPECTED, ONE OF THE ALL TIME WRESTLING GREATS, HIS NAME IS IVAN KOLOFF, HE IS WITHOUT A DOUBT ONE OF THE GREATEST BAD GUYS THE WRESTLING BUSINESS HAS EVER SEEN. BUT IN REALITY IVAN IS ANYTHING BUT A BAD GUY, AS A MATTER OF FACT 10 YEARS AGO IN 1996 HE BECAME A BORN AGAIN CHRISTIAN, AND TODAY HE TRAVELS TO CHURCHES TO SHARE HIS TESTIMONY. 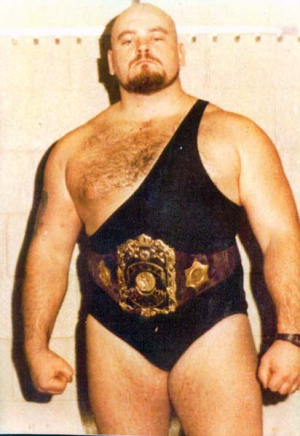 I WOULD LIKE TO TALK TO ALL THE YOUNG WRESTLING FANS WHO ARE READING THIS, I AM SURE ALOT OF YOU HAVE NO IDEA WHAT PEOPLE LIKE IVAN KOLOFF, JOHNNY VALENTINE AND WAHOO MCDANIAL HAVE ACCOMPLISHED IN THIS BUSINESS. MY WEBSITE DOES PAY RESPECT TO THE LEGENDS WHO PAVED THE WAY FOR GUYS LIKE STONE COLD STEVE AUSTIN, THE ROCK AND TRIPLE H.